Shiny new thread for discussion/debate on weather warnings! Discussion/debate on the pros/cons of the current weather warning system, and general praise/criticism of same will be moved from other threads, to this thread, to avoid clutter and taking other threads off topic. It's swings and roundabouts always. You have a group of people saying the warning wasn't enough, or ME overreacted. Can never please anyone. I wonder if they would be happy with a 1-5 alert system instead of a 3 tiered colour system? Ah jasus the more options the greater the confusion. Weather warnings should be as simple and clear as possible. Words actually work best in this regard - the problem with Yellow/Orange/Red is not the words it's how and when they are used. It's best to assume the worst and then change to a lesser level if appropriate. With respect, I don't think it helps to redefine a problem we've all discussed for years. It'd be good if people proposed some alternatives. 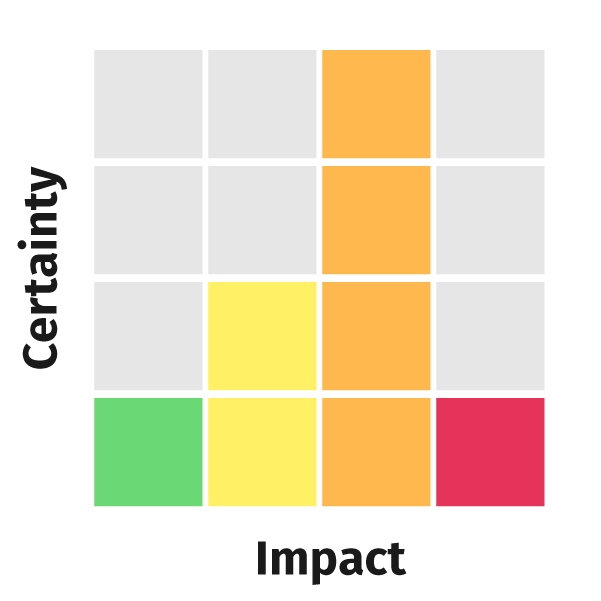 "Very high chance of orange level impacts, with a medium chance of lower yellow level impacts." Sometimes I think it was more fun when there was no warnings. A storm out of nowhere frightening the begiesus out of you ect ect. As far as the current weather warning goes I think it's quite adequate. That is where confusion comes in . The way yellow advisories are completely egnored or mistakingly though to be a yellow warning. The models really all made a botch of handling storm Callum. It's now predicted to stay well off shore and just a tightning of gradient over land. I can't see how an orange warning should apply here. It looks standard bog fare weather event. Cork rarely floods unless it's preceded by a strong Easterly which has the knock on of backing up the tide! Interesting views, you don’t think any areas will reach Orange levels? Several models still showing that they will. I guess that adds the question what models and inputs are used to decide on Warning levels. i have no issue with the yellow/orange/red system as they usually also tell you what the colour means. I think they need to amend the warning system by county though as counties like Leitrim or Limerick may find themselves on a downgraded colour even though parts of the county experience weather which warrants a higher level. What's the point of the orange warning everything is still open you still have to go to work so it's no different to putting out a yellow warning. Except that if you get caught out it allows the authorities to say it was an orange warning. 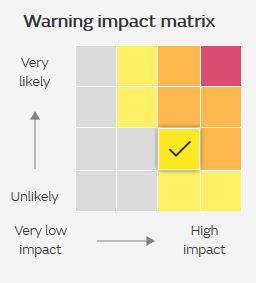 Warnings are fine but you may get a few people delaying there trip to the shops if there's an orange or you may go out and put a few bits of stuff away outside. No one is going to change their behaviour if your place of work / school/ whatever expects you to be there your going in ! And joanne donnelly should get a reprimand for sensationalist weather forecasting she should stick to the facts. Last edited by ednwireland; 11-10-2018 at 11:57. I am worried at people saying "oh sure it's only Orange.." though. Orange is serious. Red is "shut down country" time. I don't like the rather cavalier attitude regarding orange warnings that I'm seeing sprouting up. It's a bit like ignoring a Cat 3 on the grounds that ah sure, it's not a 5, y'know? I live an isolated rural spot so I don't play around with bad weather conditions and appreciate the colour codes. Gusts between 110 and 130 km/h and red is gusts over 130. Maybe there should be a category numbering system for orange and the last one would be into the red. Like the cat 1 to 5 for hurricanes but also take into consideration existing soil moisture levels and if trees have leaves. Using the beaufort scale is another idea for storms because using their scale from 10 which is 88.5 up trees are blown over etc and gives a better idea of the damage that can be done. Agreed....that's the way UKMO do it. Makes a lot of sense. Using counties does not make much sense. The weather you might get in Clifden in a storm could be world apart from what might be experienced in Ballinsloe! Yeah, I agree on that. The weather really doesn't care about county borders below it. And it creates daft issues like the north of Leitrim being yellow surrounded by orange, or the very wide county of Galway really not likely to be orange inland but may be red to the west of the city etc.